Travis Kalanick's move sought to pre-empt a move by new Chief Executive Dara Khosrowshahi to restructure the board and gain greater control, a person familiar with the co-founder's decision said. Uber said in a statement the company was surprised by Travis Kalanick's action. 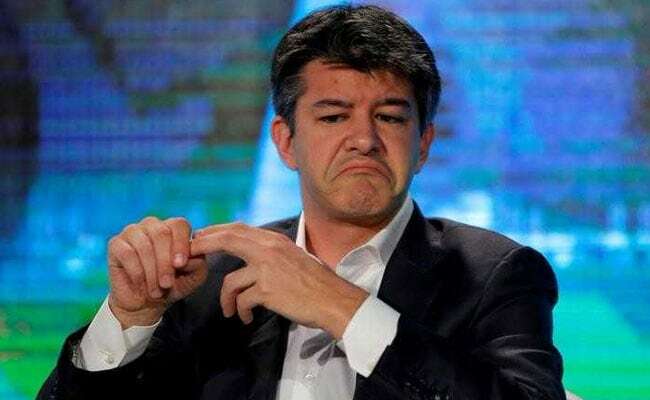 San Francisco: Uber Technologies Inc co-founder Travis Kalanick said he had appointed two new directors, a surprise move that publicly reignited a board battle over the role of the ousted former chief executive. Kalanick's move on Friday sought to pre-empt a move by new Chief Executive Dara Khosrowshahi to restructure the board and gain greater control, a person familiar with the co-founder's decision said. Uber said in a statement on Friday the company was surprised by Kalanick's action. Company investors are divided over whether Kalanick should remain on the board and whether he should be allowed to name two other directors. Benchmark Capital, which had pressured Kalanick to resign as CEO in the wake of several governance scandals, did not respond to a request for comment. Khosrowshahi is scrambling to portray Uber as a reformed company that is turning a page on concerns including sexual harassment claims and a U.S. bribery probe. Investors have described diluting Kalanick's power as a necessary step on the path to making amends. Kalanick, still one of the largest shareholders, said in a statement he had appointed former Xerox Chief Executive Ursula Burns and former Merrill Lynch Chief Executive John Thain as directors. "I am appointing these seats now in light of a recent board proposal to dramatically restructure the board and significantly alter the company's voting rights. It is therefore essential that the full board be in place for proper deliberation to occur, especially with such experienced board members as Ursula and John," he said. He did not specify the proposals he opposed. Uber had nine directors before Kalanick's Friday appointments. The person familiar with the matter said that Kalanick acted after Khosrowshahi had outlined a plan to directors, which is scheduled to be voted on October 3, that would give him control of four board seats in addition to his own on a panel that now has 11 directors. Khosrowshahi's plan calls for transferring one of the two Kalanick-controlled positions to SoftBank Group Corp, which is considering an investment in Uber, the source said. Khosrowshahi effectively could put a person of his choosing in the other seat, as well as three other existing ones, according to the source. A third of directors also would be elected each year under the plan. Uber did not respond on Saturday to a request to comment about the Khosrowshahi plan. But the company said earlier in a statement that Kalanick's appointments were a "complete surprise" to Uber and its board. "That is precisely why we are working to put in place world-class governance to ensure that we are building a company every employee and shareholder can be proud of," the statement said. Yucaipa Companies managing partner Ron Burkle, an investor who has supported Kalanick, praised Burns and Thain as "smart, high-quality people." Division among Uber investors exploded in public in August, when Benchmark Capital filed a lawsuit to force Kalanick off the board and rescind his ability to fill two other seats on the panel, accusing him of concealing a range of misdeeds. Yucaipa and other Uber investors defended Kalanick and asked Benchmark to divest its own shares and step down from the board. A Delaware judge later that month stayed the Benchmark lawsuit and sent it to arbitration, pushing the dispute out of public view and delivering Kalanick a victory. Kalanick's action on Friday could be subject to a new legal challenge. Benchmark or other Uber investors could attempt to block the appointments by asking the Delaware judge to issue a so-called "status-quo order." The judge last month did not grant such a request. Kalanick's lawyer at the time told the court that Kalanick had not rushed to fill the seats. The New York Times also quoted Kalanick's lawyer as telling the court Kalanick had the power to fill the seats under the pre-arbitration "status quo."